Anthony L. is a Swiss, Rolex, Breitling, Omega, and Jaeger Le-Coultre trained watchmaker and instructor who started working in the watch business at a very young age. He started the No BS Watchmaker website to share his knowledge and recently, he wrote a book (100% free of BS) aimed at aspiring watchmakers, collectors, and salespeople. Wrist check! What watch are you wearing? I’m currently wearing a Jaeger LeCoultre Ultra Thin. You’ve worked on watches as an apprentice under a master watchmaker since you were 12. How did that happen? I was lucky enough to be surrounded by watchmakers when I was a little boy. My parents saw that there was a clear demand for watchmakers in the world and a lack of supply. With that said, they practically forced me into watchmaking. So at the age of 12, I was subjected to 5:30 AM alarm clocks every day. I was on the desk working on watches long before any of my friends were even up. You hated it at first. At what point did that turn into appreciation and respect for watchmaking? Believe it or not, I didn’t even appreciate it when I started making money from it. I worked in watchmaking full-time and went to school full-time. I completely paid my tuition in full just by working as a full-time watchmaker. I started to appreciate watchmaking when I realized a lot of my watchmaking characteristics were leaking into my everyday life. Watchmaking characteristics such as analytical ability, mechanical breakdown, a/b testing, process of elimination, deduction, etc. made every facet of my life exponentially easier. Once I realized that, I double-downed on everything I was doing. I was paying more attention to everything watchmaking related. Quite a few watchmakers are more interested in the movements than the watches themselves. Are you one of those? I’m interested in the macro picture. You can’t appreciate the watch without first appreciating what powers it. It’s kind of like buying an iPad or a MacBook. An iPad looks nice and all but it’s the internal processing that makes it a beautiful workhorse. All watches are the same. It tells time and possibly other fancy functions. What distinguishes one watch from another? The brand, story, metal, and caliber. You can have an amazing brand, story, and metal composition, but if the caliber of the watch is cheap- it kills the entire watch. I’m interested in the whole picture. What is your watch top 3? I don’t have a specific watch in mind but my top 3 watch brands at the moment are Jaeger LeCoultre, Patek Philippe, and Audemars Piguet. What is your view on the watch market and especially the vintage watch market? The watch market is extremely interesting. The current brands are actually fighting themselves right now. Because most brands don’t deal with the vintage versions of their watches, it’s created a niche market. You have companies that are now dedicated to selling, repairing, and buying vintage watches. A good chunk of the market that would’ve bought brand new modern watches are now buying into vintage watches. If the current brands don’t factor this into the equation, they’re leaving a great deal of money on the table. What made you write your book? I was repeatedly asked by many people. It started off with a random request but suddenly took a life of its own shortly after. I wrote a few chapters and people went bananas. 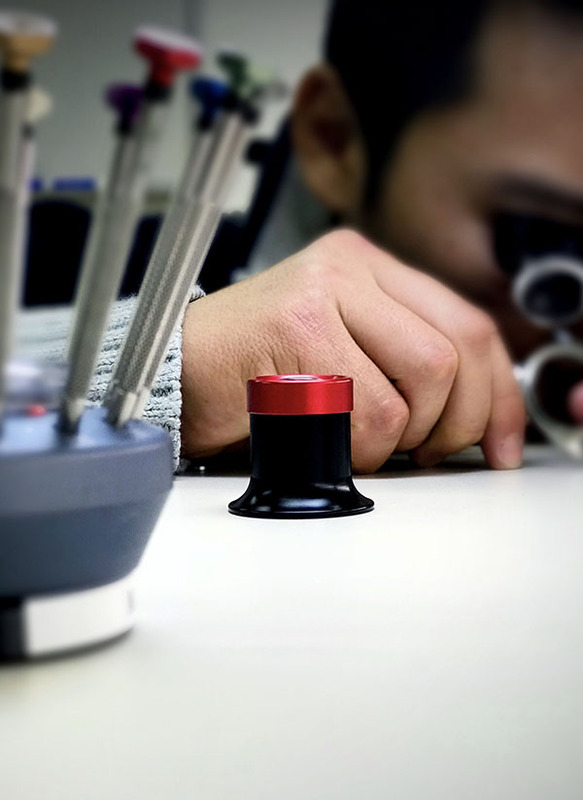 It was geared towards aspiring watchmaking students, watch enthusiasts, and salespeople. One of the best praises I’ve received of the book was that I was the “Robin Hood of Watchmaking”. What are common things you see online that drive you crazy? People who are supposed to be “experts” teaching other people how to butcher their own watches. YouTube is fascinating to me. It’s a hub with a massive resource. You can practically learn anything there. Herein lies the problem. People go to YouTube to learn about watchmaking. They take a look at DIY projects that are a tad bit out of their scope. It’s not uncommon for a customer to drop off a butchered Rolex because he learned from YouTube that he can take off the bezel with a kitchen knife. Now, these guys who are putting out videos on YouTube definitely mean well and I don’t mean to knock them- but a lot of repairs come in because customers are ill-advised. If they butcher a watch that they don’t care about then great. No harm done. But if they butcher a watch that they care about, they have no one else to blame but themselves. It’s the New Year and yet we have the SAME PROBLEMS! A customer came in with his Rolex watch that he tried to DIY. He watched on YouTube how to change the bezel Insert and while PRYING his bezel off with a kitchen knife (recommended by the YouTuber actually) _ ? He was successful but not without damaging the bezel and crystal. He hit his crystal off at an angle apparently. His bezel was bent. In a panic, He tried to put it back. The bezel was half way on and the crystal was popping off by the edges by the time it came in! ? _ I want to say that I have nothing against DIY projects. Just don’t DIY something that you value. I recommend DIY projects on a beater watch that you never care about. Don’t decide to do things on a Rolex that you care and value. Where do you find a bad watchmaker? Under his desk…I find it reassuring that even you still drop a screw sometimes. Why do you think this image exists that watchmakers need to be perfect? 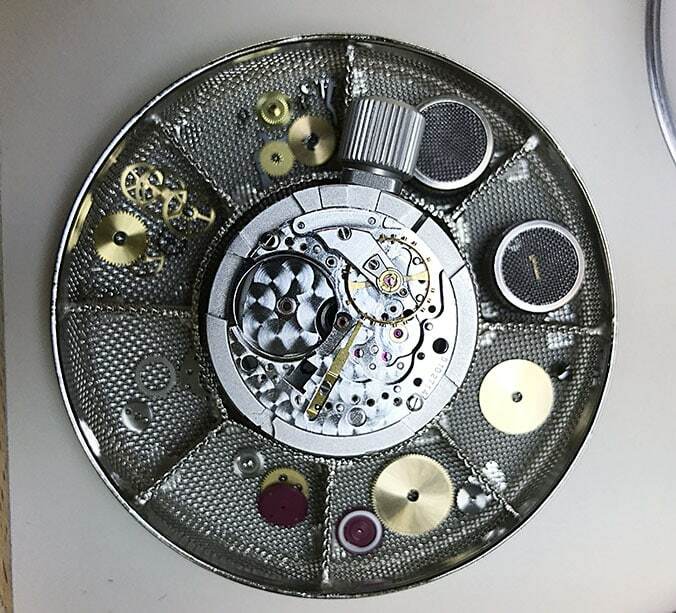 Watchmaking is an extremely intricate art and science. You’re systematically breaking things down, analyzing, running scenarios, fixing, and reassembling. Completely old school and traditional watchmaking will have you learning close to Ph.D. level calculus, advanced mechanics, engineering, design UI, astrology, chemistry, and much more. Watchmaking integrates all that in a seamless manner. It’s hard to imagine a watchmaker, who works and combines all that, to be anything less than perfect. Couple this with brands that have majestic marketing of watches, people have an ill-conceived image that watchmakers are perfect. Watchmakers are then held to this standard that everything has to be perfect and that a watchmaker doesn’t screw up. I’ll be the first to say I’ve messed up plenty of times. I can guarantee you that even watchmakers of the highest caliber lose screws every now and then. We’re human and humans are prone to mistakes. We just learn to keep our errors and percentages low. What is your #1 tip to a beginner watchmaker? I literally just wrote an article on this. You can check it out here. But if I had to choose just ONE thing for a beginner watchmaker- it’s that you don’t need the latest gadgets. Someone who’s good at what they do doesn’t always have new tools. Finally, where can we buy your book? Thanks for the awesome interview Melvin!